The self portraits of Rembrandt van Rijn have been the focus of art historical examination since their creation nearly 400 years ago. Scarce examples from our May 8 auction of Old Master Through Modern Prints illuminate his early ventures into the medium. 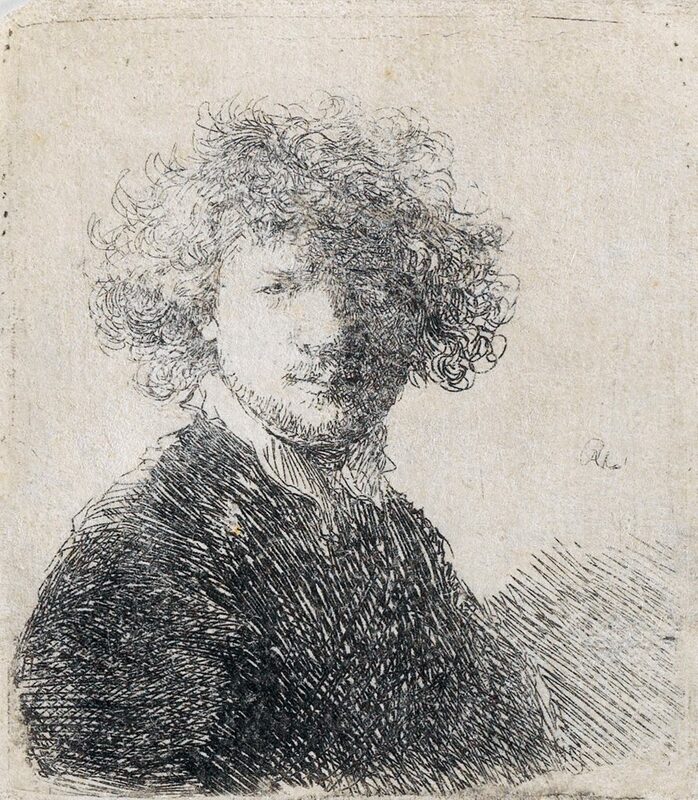 Lot 115: Rembrandt van Rijn, Self Portrait with Curly Hair and White Collar: Bust, etching, circa 1630. Estimate $20,000 to $30,000. Self portraits have the capacity to reflect both the internal and external states of an artist. Although these etchings, made mostly around 1630–the middle of his life–present a similar likeness, the emotional range the portraits provide is broad. Whereas Self Portrait with Curly Hair and White Collar: Bust depicts a stoic and tranquil visage of the artist, Self Portrait Open Mouthed, as if Shouting: Bust presents the artist in a state of anguish and despair. 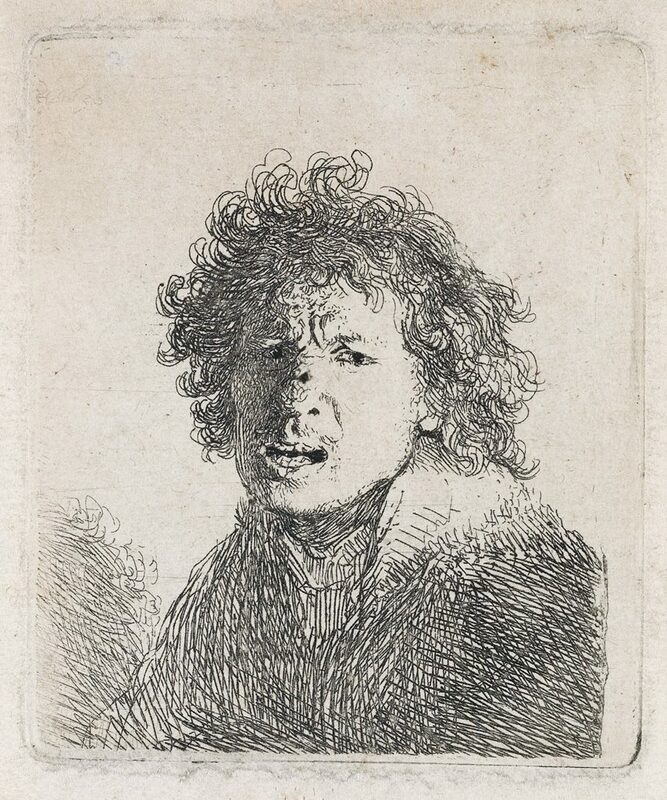 Lot 117: Rembrandt van Rijn, Self Portrait Open Mouthed, as if Shouting: Bust, etching, 1630. Estimate $20,000 to $30,000. Similarly, the jovial and lighthearted nature of Self Portrait in a Cap, Laughing is sharply contrasted with the solemn and introverted quality of Self Portrait in a Cap and Scarf with the Face Dark: Bust. This latter work, created two years after he moved to Amsterdam from Leyden to pursue art, is among his most introspective self portraits. 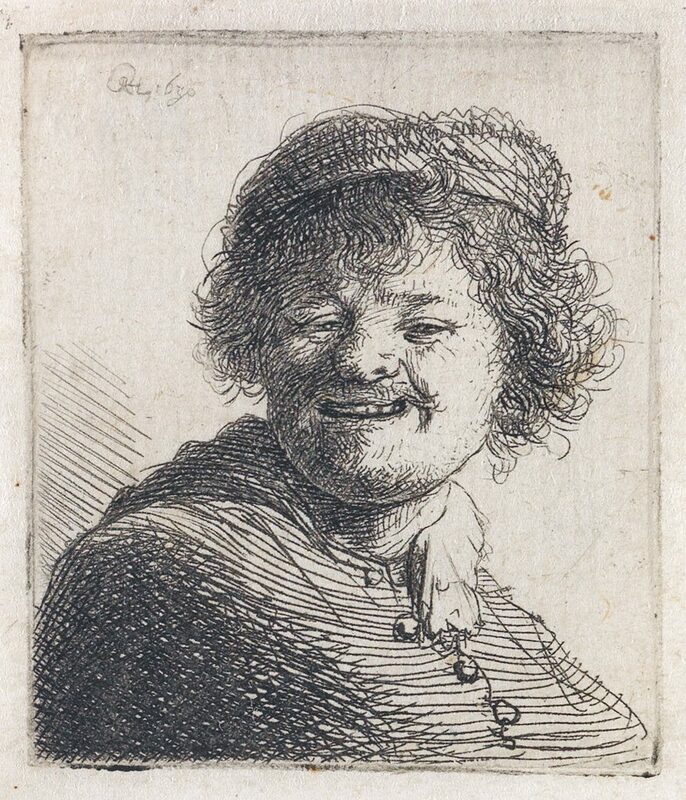 Lot 118: Rembrandt van Rijn, Self Portrait in a Cap, Laughing, etching, 1630. Rembrandt etched about 30 portraits of himself and painted an additional 40. As one of the scions who transformed etching from a new technique to a respected art form, his printed impressions of himself are as respected as his painted ones. 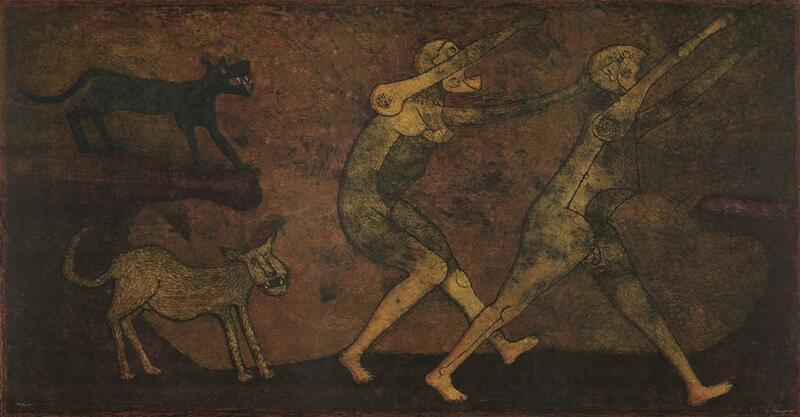 Although both his paintings and etchings are highly regarded, he was able to present different types of self portraiture through the different mediums. Rembrandt was capable of rendering himself in biblical scenes and in fantastical costume through painting, while he also had the technical capacity to capture purely emotional moments in his etchings. In both mediums, Rembrandt set himself against a nondescript background to highlight the version of himself he was interested in capturing, resulting in evocative portraits that resonate today. Lot 119: Rembrandt van Rijn, Self Portrait in a Cap and Scarf with the Face Dark: Bust, etching, 1633. Estimate $8,000 to $12,000. Rembrandt was not the only artist producing etchings during the seventeenth century, but he was one of the only ones creating self portraits. 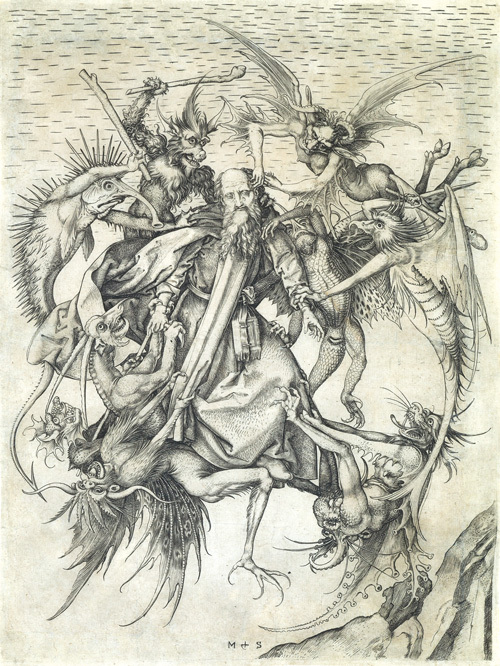 Although some scholars suggest that his self portraits may have been studies for more elaborate works, his prints are valuable today because they are unique exercises in printmaking from a time when very few other artists were creating similar subjects. Aside from the debated works by Giovanni Benedetto Castiglione, a counterpart to Rembrandt working in Italy, few other self portraits exist. Castiglione, who is known as the first Italian artist to copy directly from Rembrandt, produced a few self portrait etchings, such as the Presumed Self-Portrait, circa 1645-1650, which shares a similar emotional focus. This portrait also portrays an element of masquerade through costume, complete with velvet beret with ostrich feather. However, what sets Rembrandt’s apart is their simultaneous ubiquity and uniqueness. Where other artists may have created a few impressions of self portraits, Rembrandt created a number, and of superior rendering. 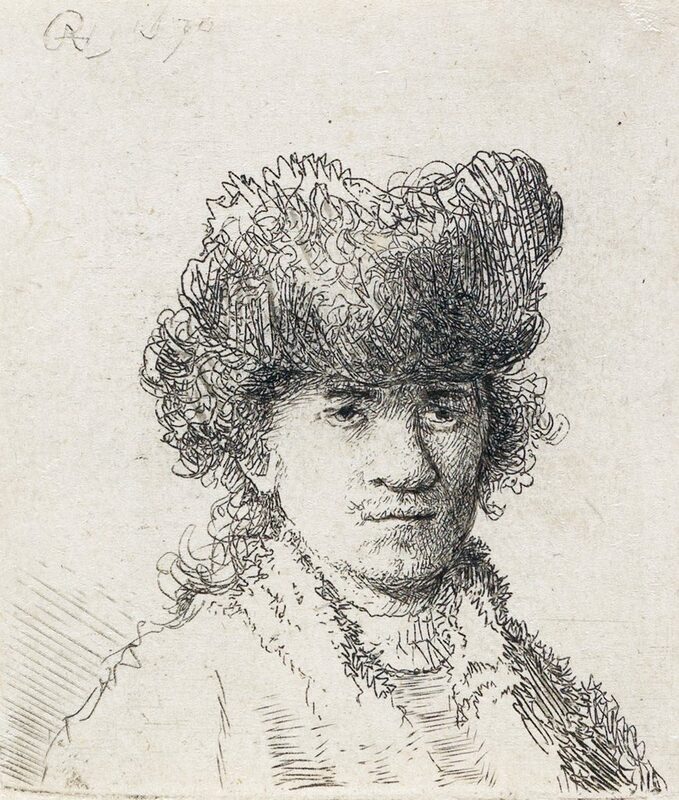 Lot 116: Rembrandt van Rijn, Self Portrait in a Fur Cap: Bust, etching, 1630. 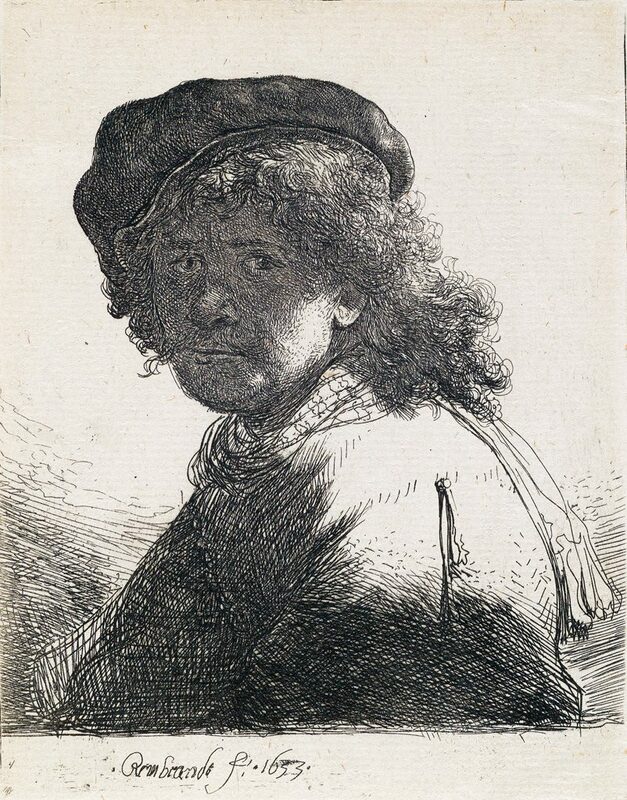 The pervasiveness of Rembrandt’s prints is due, in part, to the rise of the art market in the seventeenth century that rejected the patronage system under the Church for a more accessible, business-like arrangement, in which artists could sell their work directly from their studio to patrons, as well as through dealers. The opening up of the art market at this time resulted in artists creating works for the open market instead of for specific commissions, which may have been an incentive for Rembrandt to exercise his artistic prowess at such a high volume. 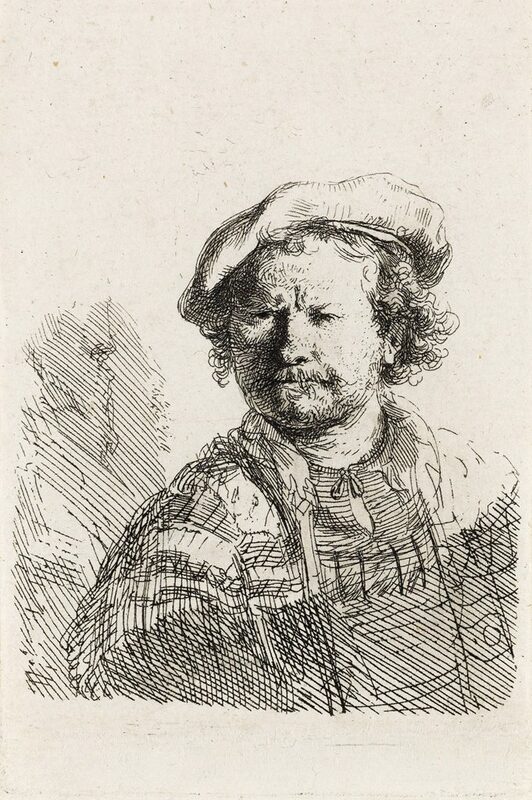 Lot 149: Rembrandt van Rijn, Self Portrait in a Flat Cap and Embroidered Dress, etching, circa 1642. Rembrandt’s superbly etched self portraits reflect the growing art market as well as the development of printmaking as a respected artistic medium in its own right. Just as the artist reached innovative heights in his painting, his etchings–in particular his self portraits–reflect a similar uniquely emotional quality that led to his contemporaries as well as later artists emulating his style. 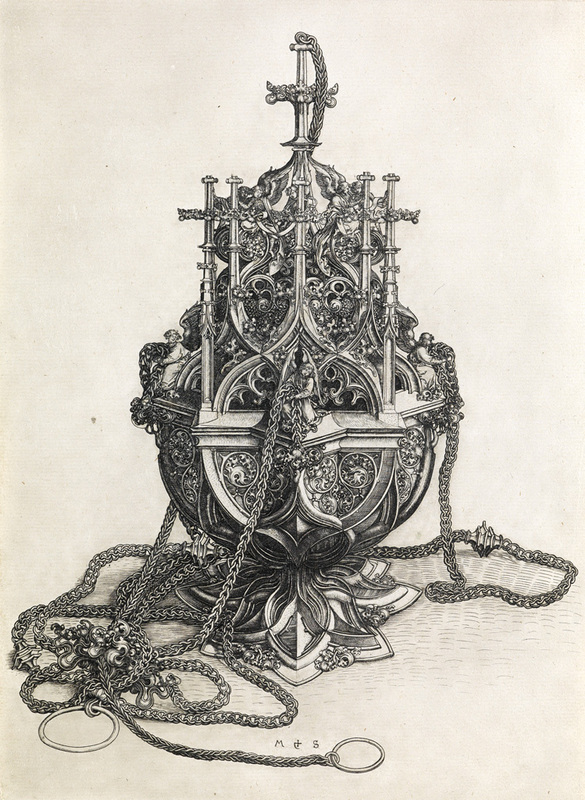 Collectors have sought these works since their creation for their stature as a sea change in the history of printmaking, and their ever-increasing records at auction.